Keep Memory Alive's 16th annual Power of Love Gala on Saturday, Feb. 18, at MGM Grand Garden Arena in Las Vegas brought out some of the biggest names in sports and entertainment to celebrate Muhammad Ali's 70th birthday and raise funds for the Cleveland Clinic Lou Ruvo Center for Brain Health and the Muhammad Ali Center. 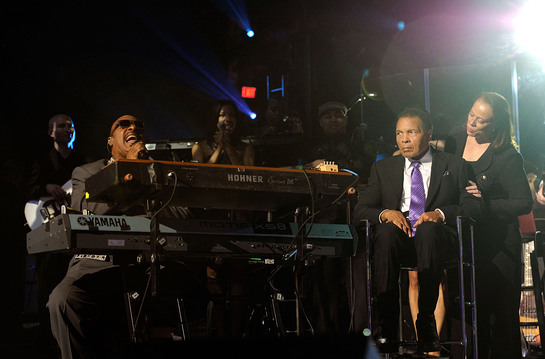 Highlights of the evening included a heartfelt “Happy Birthday” serenade by Stevie Wonder, Snoop Dogg leading the crowd in chanting “Ali” during his performance of “Who Am I (What’s My Name)?” and famed boxers Sugar Ray Leonard, Evander Holyfield and Tommy “Hitman” Hearns joining LL Cool J on stage for “Mama Said Knock You Out.” Stars like Sean Combs, Samuel L. Jackson, Terrence Howard and David Beckham gave personal remarks and remembrances about “The Greatest” while Lenny Kravitz, Cee Lo Green and Kelly Rowland performed for Ali and the sold-out crowd of about 2,000. The once-in-a-lifetime birthday celebration, “Ali 70th From Las Vegas,” will air nationally on ESPN2 on Saturday, Feb. 25, at 10 p.m. local time in all markets. ABC will air the celebration in Las Vegas at 4 p.m. PT that day as well. 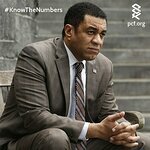 For possible ABC broadcast in all other markets, viewers should check their local listings. Other celebrity supporters who appeared at the event included Cindy Crawford, Randy Gerber, Larry King, Quincy Jones, Ken Jeong, Buzz Aldrin, Common, Anthony Hopkins, John Legend, Chris Cornell, Joe Perry, Slash, Kris Kristofferson, David Copperfield, Siegfried & Roy, Andre Agassi, Stefanie Graf, Jim Brown, Randy Couture, Brad Garrett, Dave Koz, Robin Leach, James Gandolfini, Steve Schirripa, John Paul DeJoria, Tony Danza, Raphael Saadiq, Haley Reinhart, and Sammy Hagar. Boxing icons who attended include Manny Pacquiao, Mike Tyson, Sugar Ray Leonard, Evander Holyfield, Ken Norton, Earnie Shavers, Leon Spinks, Ray “Boom Boom” Mancini and Tommy “Hitman” Hearns. In keeping with its 16-year history, the Power of Love Gala showcased a celebrity-chef-packed dinner featuring creations by Tom Colicchio, Scott Conant, Michael Mina and Wolfgang Puck. Guests were treated to a Dom Perignon reception and were able to bid on one-of-a-kind live and silent auction items, including Muhammad Ali’s boxing gloves he wore to defeat Floyd Patterson in Las Vegas in 1965 and an extravagant vacation of a lifetime for two couples on David Copperfield’s private island in the Bahamas. The Power of Love Gala was produced by Bill Edwards Presents Inc. and supported by the Las Vegas Convention and Visitors Authority (LVCVA), Muhammad Ali Enterprises and Keep Memory Alive, the fundraising arm of the Cleveland Clinic Lou Ruvo Center for Brain Health. 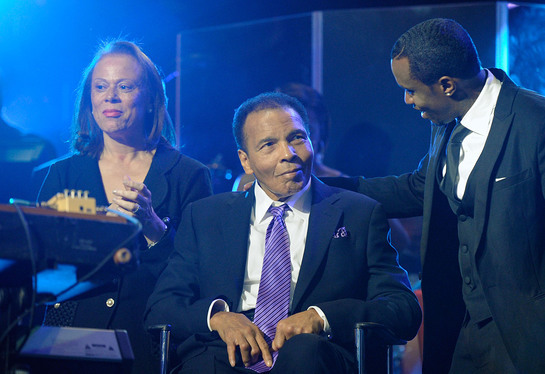 The star-studded celebration for Ali honored the boxing legend’s contribution to the world and raised awareness for Alzheimer’s, Huntington’s, ALS, Multiple Sclerosis and Parkinson’s disease.